Agnus Castus: Tincture – another option? I recently received an email from Alison Cullen a Nutritional Therapist who works for A.Vogel. She recommends the tincture as an effective way to achieve relief from PMT. I have often thought about trying tincture, but find the dosage (drops) unfathomable when compared to the standardised extract used in trials. Now from my research, based on trials, 20mg or 200mg dried fruit is the dose that has found to be most effective, however, I also accept that the tincture may work differently from tablets (possibly absorbed more easily?) The reviews from the A.Vogel site do seem to endorse Alison’s claim that this dosage is effective, even though it is around 40% lower than the recommended. More importantly, for the practitioners who use this product, myself included, and the women who take them, this is the dose that we find to work! I started using the A.Vogel range because of the tincture format, which is very easily absorbed, and now work with the company partly because I like their products so much and appreciate their methods and principles, but mostly because they work. The range was made by a practitioner, Alfred Vogel, so it is pretty practical. I have always been uncomfortable with the fact that I can only recommend one supplier. So with the dosage explained the tincture is a viable alternative and may suit some women better. However, price-wise, the tincture is £9.15 for around one month of herb, whereas Prime Health tablets are £11.75 for six months. I am not endorsing either product and I receive no perks or payment from either company, but I do want women who visit this blog to have options. So now we have at least two choices of where to buy and I am still planning on growing my own (once a house move is sorted). Anyone else found a supply of Agnus Castus in the UK that works for them? Do share and do please keep telling other women, doctors, consultants and anyone that will listen about Agnus Castus. As Alison points out the new restrictions imposed by legislation are already making some herbs unavailable and with it the knowledge of them. I was reading about the difficulty of finding a suitable Agnus castus product on your blog, and your position is very much reflected by women who are contacting us currently, searching for a product they can take with some degree of confidence. The problem has occurred previously with Black Cohosh, no worthwhile dose of which now exists on the market, sad to say. The news for Agnus castus is slightly better, because it is part of the A.Vogel range and we have managed to avoid losing it (as we did Black Cohosh) and even get a licence, without having to compromise on the dose. We have the same dose on our (very newly) licensed product as we had previous to the licence, which is a relief, as it is a dose that I have found to work very well in my clinic. How can it be progress when future generations of women will have no knowledge that the answer to their health lies in their hands and the natural world around them. That is why I am also urging Dr Nick Panay, Consultant Gynaecologist, to get a trial up and running on AC so that it can become a prescribable treatment for PMT. See this post and if you feel so compelled drop Dr Nick an email or letter in support of his attempts to obtain funding for a trial. If we can get one herb on the recommended list for GP’s then it could open the floodgates for others. When I visit my doctor I want to be recommended the best treatment for me (be that a herb or a lab produced drug), rather than the best drug (in terms of profit) for the Pharmaceutical industry. This is so worrying and mirrors my experience with treatment for PMT. 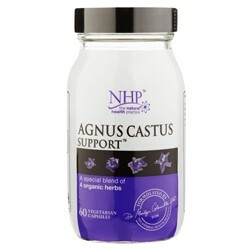 Not once did any doctor suggest I try Agnus Castus, but they were willing to give me anti-depressants. Quackery and woo are among the favourite insults directed at anyone who practices most forms of CAM (Complementary and Alternative Medicine) – and especially those who use of homeopathy, herbs or vitamins – by staunch and vocal supporters of evidence based medicine. However a feature in the Daily Mail today describes a class of drugs that are being offered to millions with everyday emotional problems, which seems to fulfil all the requirements for a diagnosis of quackery and woo. In explaining why they attack CAM, anti-quackery hunters claim that they are protecting consumers. Despite its apparent harmlessness, they say, CAM can be deadly for three reasons. Firstly there is no good evidence – properly conducted randomised trials – that any of it works.